A little about Tranquil Force. We are a locally owned and operated company out of Apple Valley, MN. It started with a girl and a sewing machine. It has grown to 4 employees and headbands in different yoga studios (around the US), school fundraisers and local businesses. We have recently expanded to add scarves and embroidered headbands. 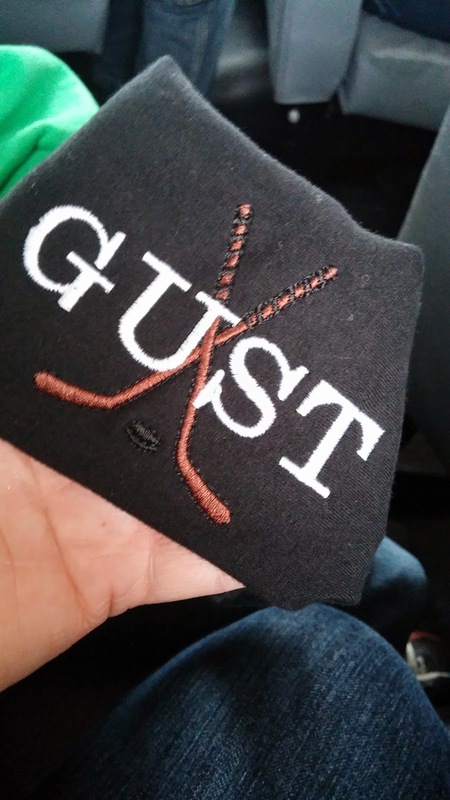 We also have awesome logo gear. And we will be adding a running waistband. so it's fun to have a little gear for her to wear too! 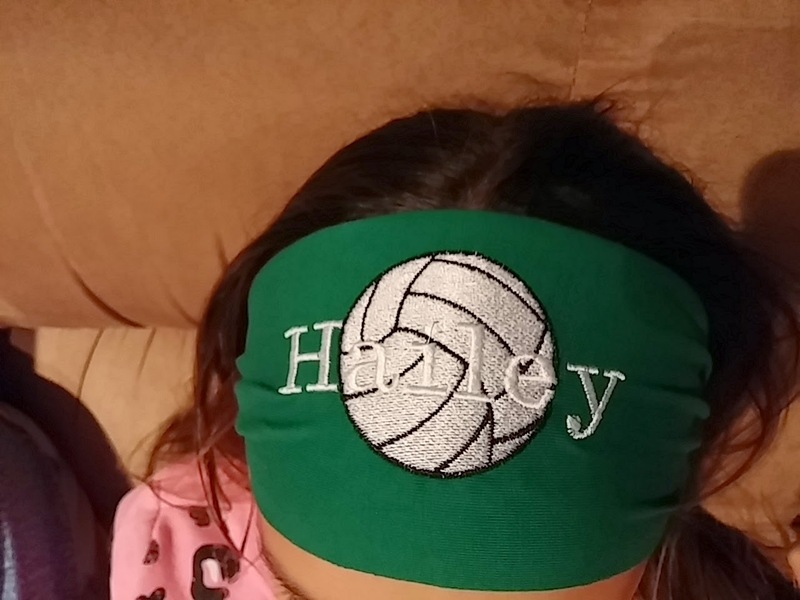 She DOES have her own custom Volleyball Headband for her sport, too! Something bright and vibrant, maybe a hot pink on the green, so it shows up better on the volleyball? Or maybe a bright yellow softball on a blue headband for her softball team? I just think we could make it stand out more. We didn't get #'s sewn on, because every season, every sport, our kiddos get stuck with a different number - and we want to be able to wear these all the time - though I do love the looks of the ones I've seen Tranquil Force do with player #'s on them! Infinity Scarves, Running Roo's, Keychains! If you need something custom made, LOCALLY, these are your gals! And, these gals would like to give away a couple of patterned headbands to one lucky reader! To enter, simply toss your name in the Rafflecopter Hat below! Sooo cold, last week, in fact, that kids all across the state were ordered to stay home from school because of the plummeting temps! 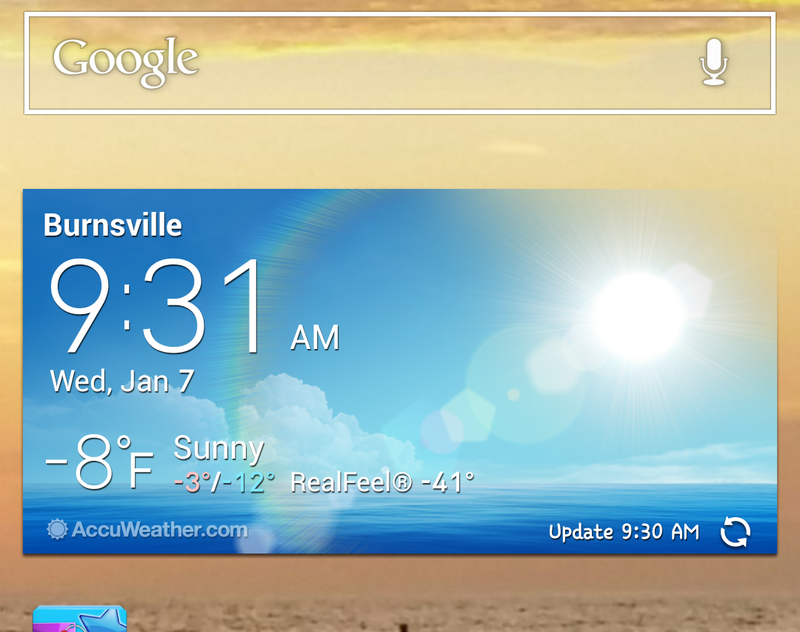 -41 degrees wind chill, at 9:30am? here in Minnesota, we have to embrace the cold! Eden Prairie Minnesota, Ice Castles! We are soooo excited to take in this exhibit! 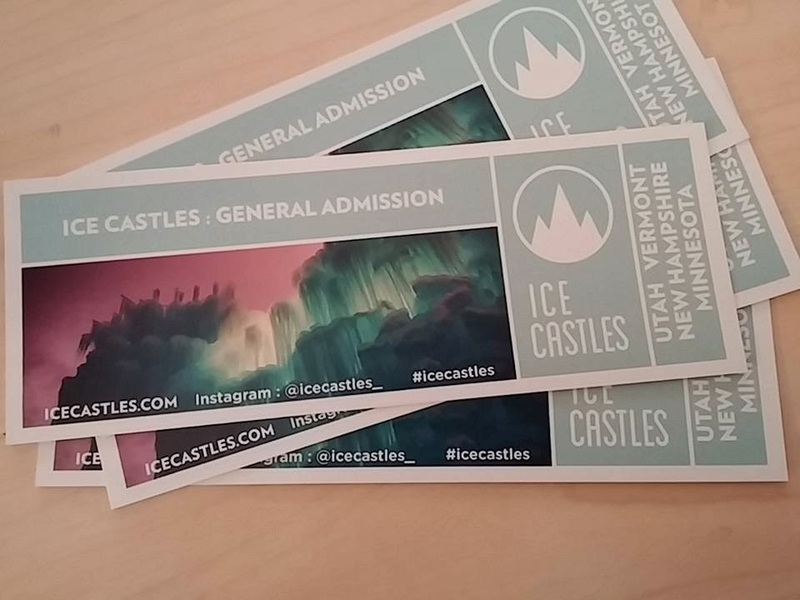 We've got four tickets to give away to Eden Prairie Ice Castles! If you would like to be entered in the drawing for four tickets to the Ice Castles in Eden Prairie, Minnesota - enter the Rafflecopter Give Away Below!